While flying increasingly draws criticism these days for everything from baggage fees to shocking confrontations with law enforcement, there is some good news on the horizon. Delta will provide free texting on flights through their Gogo inflight internet service beginning Sunday, the airline announced Tuesday. The change makes Delta the first U.S.-based global airline to offer free mobile messaging on flights. The development is part of the airline's multi-billion dollar investment to improve passengers’ experience, and will allow for the use of real-time messages using iMessage, WhatsApp and Facebook Messenger. It remains to be seen whether free messaging alone will push consumers to choose Delta over direct competitors like United and American, said John Breyault, vice president of Public Policy for the National Consumers League, a consumer advocacy organization based in Washington. While messaging is less disruptive than voice calls — just imagine a plane full of people chattering away on their phones — Breyault raised concerns over privacy. This comes as the National Consumers League is already concerned by the lack of competition in the airline industry, particularly for consumers living in more remote areas who have fewer flight options, Breyault said. All Gogo-enabled Delta flights, including aircraft with two or more cabins, will offer free messaging, according a press release from the airline. The airline’s free mobile messaging will only be made available for text use, and does not support photo or video file transfers. 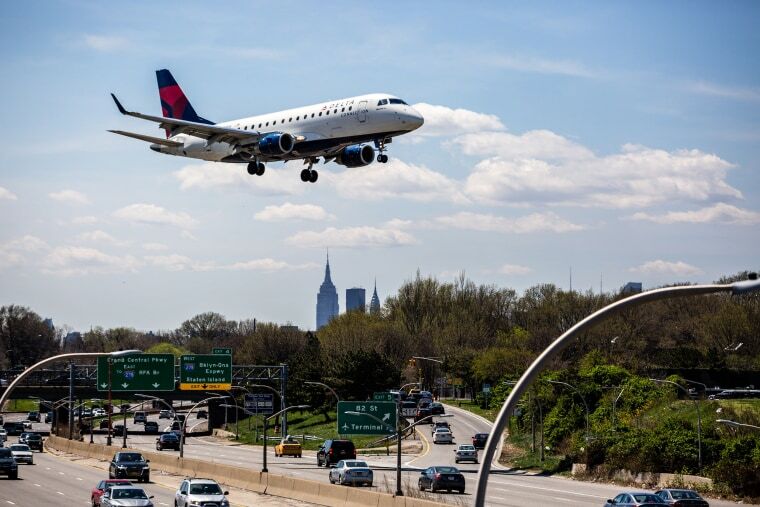 Delta has installed 200 aircraft with the enhanced Wi-Fi capabilities, and plans to install more than 600 for domestic and international flights over the next two years.